Made by us from solid timber this box is heavy and well made, this one is waxed on the outside and treated with animal friendly wood preserve on the roof. 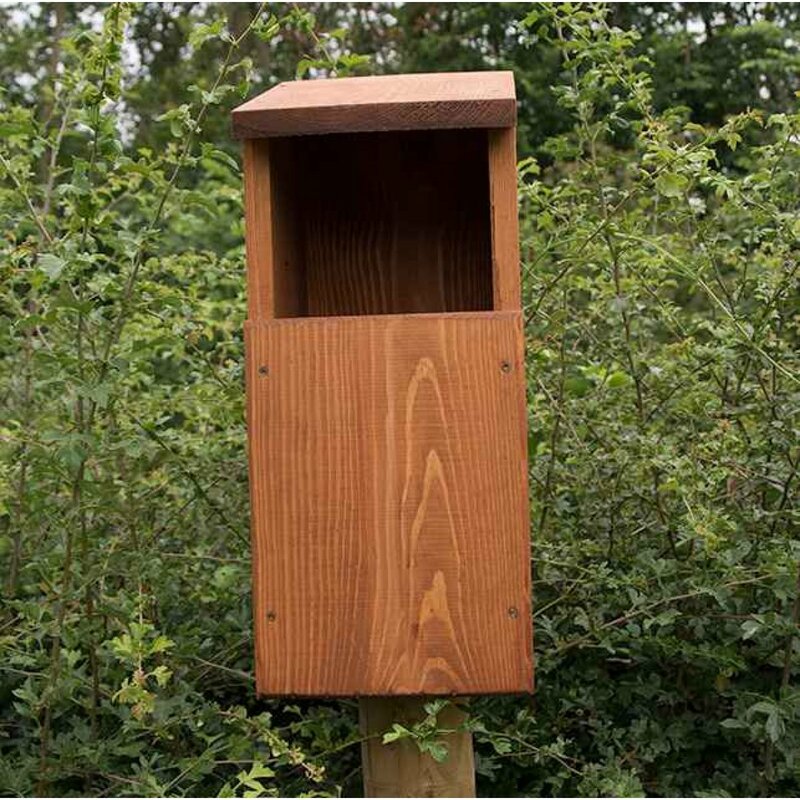 Natural sites such as hollowed trees are in slow decline this nesting box will provide a safe haven for them to nest and may also attract Kestrels and Stock Doves. Site high up in a mature tree of places of good visibilty of the area and ensure the box is securely fitted.